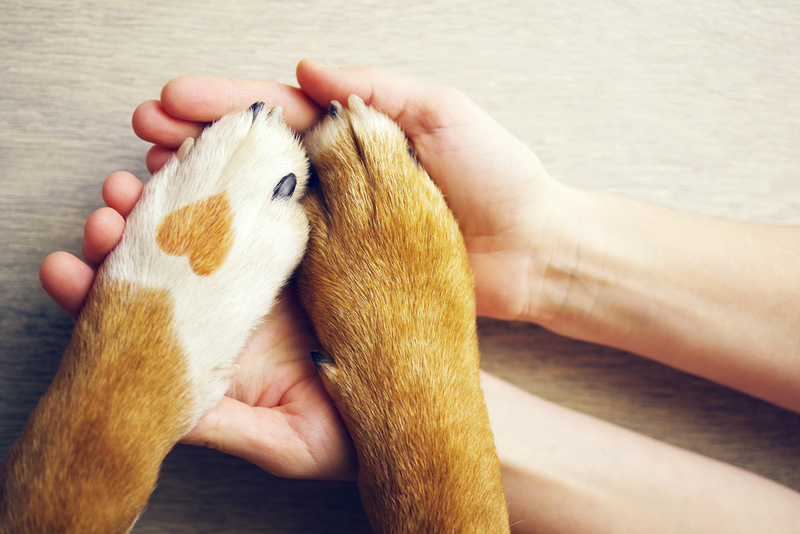 The concept of support animals has become increasingly popular in recent years; however, due to its high popularity, many people focus on the type of animal a person is bringing along instead of why the person needs the animal. In fact, people have been turned down for taking large animals on planes, into shopping centers, and public places, but the need to have that specific animal around isn’t a joking matter it’s real to their state of mind. 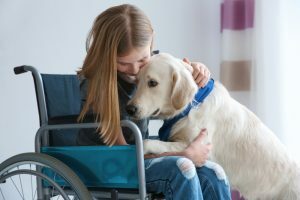 Some people get a support animal to help them cope with hard to deal with issues such as social anxiety, stress, and shyness. Thus, the animal can have a significant impact on how a person acts and behaves in certain events and situations. But how can a support animal benefit people? It’s commonly known that people who suffer from PTSD have a number of symptoms that include flashbacks, being easily frightened, and always on the lookout for danger. However, a support animal can decrease the amount of symptoms, and thus reduce your PTSD by making you feel safe in your surroundings. Having a support animal around will not only make you comforted but also make your experience a little less lonely. It’s normal for people who have PTSD to feel as if they’re the only one, but that thinking is false. If you have a support animal around whether it’s a dog, cat, or a pig you and the animal can build a relationship and trust upon one another to be there for each other. Building trust is essential since it’s that trust which the bond between animal and human will grow. With such trust, a person with PTSD can lower his or her defense mechanism since they believe the animal is looking out for them which will in return advance the healing process. Therefore, having a support animal can be helpful to those that have PTSD in order to help them heal from their traumatic experience. People who suffer from anxiety do so for various reasons, for example, some people are fearful of being in crowds while others have anxiety because of family situations or events. However, having a support animal can rapidly decrease a person’s anxiety levels. In fact, support animals reduce anxiety levels in two ways: by naturally calming the body and relaxing emotions by the animal’s presence. Support animals have been known to relax the heart by simply petting them, and thus anxiety levels have been proven to reduce. While the animal’s presence also calms the heart, this relationship is guided by trust, love, and admiration for one another. In other words, the person is happy to see the support animal or know that the animal is there, so the person is relaxed. Therefore, support animals can be helpful to people who have anxiety by offering them a mode of security. Many people who are depressed believe they’re no longer worthy of good fortune, love, or even being themselves again because of something they did or didn’t do. Although, having a support animal can bring a light into anyone’s life. Having a support animal while depressed can be a tricky ordeal since many people who experience depression don’t want to help themselves. However, taking care of the animal and building trust with the animal can boost self-esteem. With increased self-confidence in one’s abilities, a person is more likely to see a decrease in the symptoms of depression. 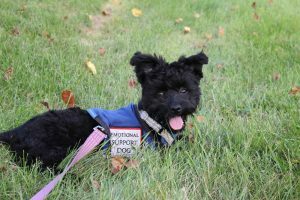 While it’s not a quick treatment plan, having a support animal can help people who suffer from depression or chronic depression to feel better about themselves in times of turmoil. People who have social shyness may be less inclined to join group activities or go to public fairs, festivals, or celebrations. However, having a support animal around can be a great help for people who have social shyness. Some animals like a dog, cat, or even a hamster can exhibit very social tendencies which can allow a person who is shy to come out of their shell. Of course, trust is required between the person and the animal in order to go out to social events. Depending on the animal, people might flock to the person when in public because of the animal’s cuteness or kindness, and thus allows a person to be social without going too far out of their comfort zone. In fact, the best support animal to gradually move someone outside of their comfort zone in social situations would be a dog. Since dogs are social by nature and given the title “Man’s best friend” they’ll be with you through thick and thin. Therefore, people who have social shyness can benefit from support animals, especially dogs, who specialize in social situations and will aid you in advancing your comfort level. People who suffer from stress are known to experience symptoms such as high blood pressure, mood swings, and elevated heart rate. Stress is known to be a leading factor of death; in fact, many people take on relaxing projects to reduce stress. Some people listen to music, watch TV, or get a massage in order to release stress from their body and their mind. However, having a support animal can also decrease stress from a person’s life. Like anxiety, support animals benefit a person in two ways: by allowing their heart to calm and giving a person emotional security. Although, these benefits don’t occur unless a person has a trusted bond with the support animal. Once there is a bond between the person and the animal, they can rely on one another for comfort, reassurance, and safety. It’s been proven that stress levels have decreased once a support animal was introduced into a high-stress environment. Therefore, having a support animal can benefit a person who suffers from stress by offering them security, comfort, and reassurance in that everything will be okay. Get a support animal today!